A Brighton man has been sentenced a total of 32 years' imprisonment for sexual abuse of young boys, much of which occurred at a children’s home in West Sussex in the 1970s and 1980s. 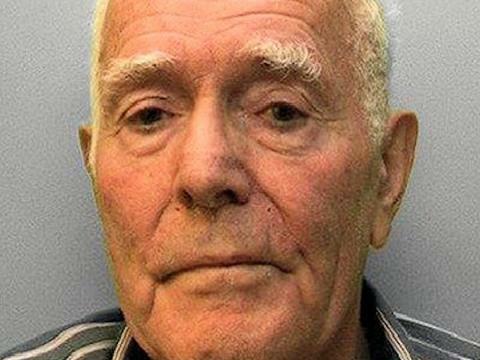 John Michael Webber, 78, retired, of Clifton Hill, Brighton, was the owner of the long since closed privately-run Old Rectory Children's Home in Church Road, Singleton, during the period of the offences. Webber was sentenced at Hove Crown Court on Tuesday (4 December) having been convicted the previous Wednesday after a five-week trial of 26 out of 29 sexual offences, some counts involved multiple incidents, against six boys aged between five and fifteen. They were 19 counts of indecent assault, three of buggery, two of attempted buggery, and two of indecency with a child. Webber was found not guilty of three other sexual offences, one of which related to a seventh boy. He was found not guilty of three other sexual offences. The majority of the offences took place within the home but some offences also happened away from the home, on camping trips to various locations in the UK. Police emphasise that the premises closed as a children's home in the late 1980s, and that any management or occupants of the address since that time have no connection whatsoever with this case. Detective Sergeant Karrie Bohanna of the Sussex Police Complex Abuse Unit said: "Webber was in a position of power at the home where there were a number of vulnerable children. The volume of offending against these victims where they should have been safe having been taken into care to protect them, is truly shocking. "Webber's conduct, which he must have thought would be concealed for ever, began to come to light in March 2016 when one of the victims came to us via a local Sussex charity who support vulnerable people and victims. “The victims in this case have shown great courage, ultimately giving evidence against a man who many trusted like a father. This case is another example of how seriously we take complaints of a historic nature." Webber had previously gone to prison in 2001 after being convicted of possessing some 20,000 indecent images of children. However that offending had no connection with the home which had long-since closed. Don Grasty, 94, of Beach Road, Selsey, had faced 23 sexual offence charges, allegedly committed against six boys. However, Mr Grasty, who had assisted in the management of the home, died in March this year.